Cut the tomatoes in half and thinly slice. Wash, skin and slice the onion. 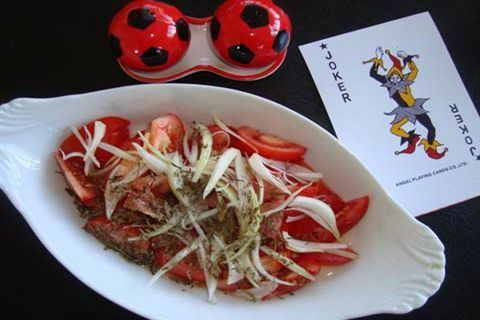 Place the tomato and onion in a salad bowl. Add tarragon, salt, lemon juice, olive oil and mix well, then set aside for 15 minutes before serving. Serve this salad as a side dish with rice dishes. You can skin the tomatoes before cutting. When you grill, remove the meat from the fridge one hour ahead of time, to allow them to reach room temperature. Plunge vegetables in ice water after blanching (boiling), so they maintain a bright colour. 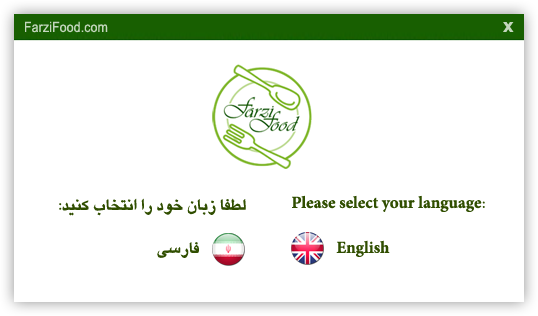 © 2019 All Rights Reserved To the Mehmane Sofreh Farzi Co.
What you can cook for today?